Sustaining shared-view in the seven areas of significance where the most successful leaders stand out complimentary resources. In the workplace the most successful leaders sustain shared-view in seven areas of significance as overviewed in the diagnostic below. You can download the diagnostic here. I take a quick look at each of the seven areas in the videos below. The 'one great idea' is that in the new world of work only the milestones and lead measures that have meaning for people have value. ‘What gets measured gets done’ is not always true. The 'one great idea' is that behaviour determines your culture. 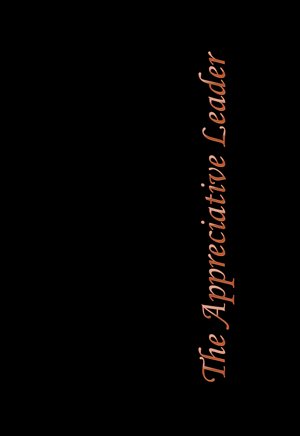 I explore how to sustain shared-view in detail in The Appreciative Leader handbook. You can download your copy of the handbook with my compliments here. You can view the companion resources web page to the handbook here. Please note the special exercises under Sparkenations 15 and 16 about Appreciating what is and Imagining What Can Be. 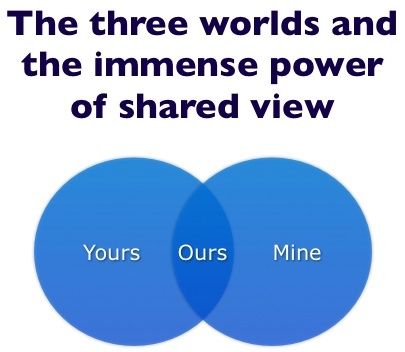 Below are recordings of two conversations I had with members of my community about sustaining shared-view. Here's the slides for both conversations. Below is the video about values referenced in part two. For help in integrating sustaining shared-view into your workplace or team in your own best way please telephone me on +61 418 807 898 to explore options. You'll be under no obligation. I engaged Ian Berry to talk to my team and challenge them to bring their very best to the office every single day as we commenced the new financial year. I recommend Ian as a value-add to any business leader or staff member and feel confident each participant will walk away inspired with a greater understanding of themselves and equipped with additional ideas and techniques of how to achieve their very best performance each and every day.